I’ve spoken of my love for Valley Mill products on the blog before and they’re a brand I tend to keep going back to. 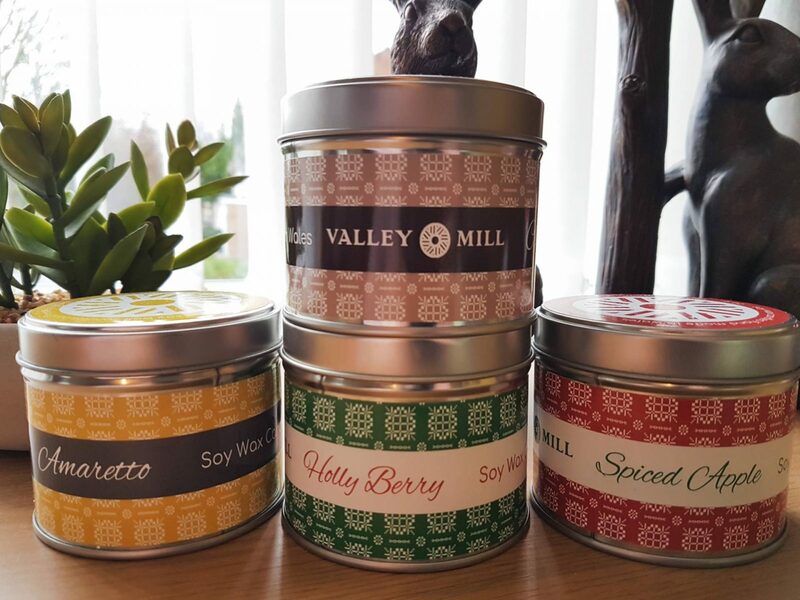 Valley Mill sell their popular range of Tapestry Tin candles throughout the year in a variety of different scents. 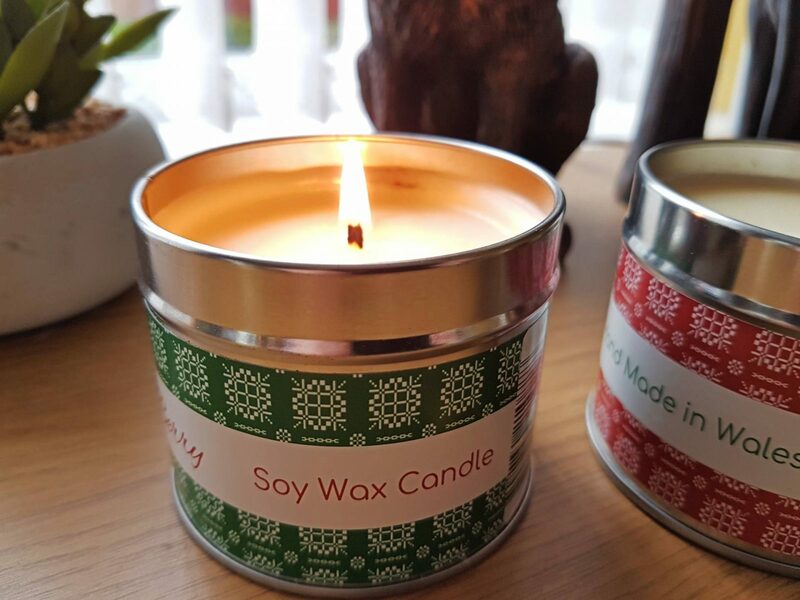 Each candle has a 30 hour burn time and they are handmade in Wales using the finest quality soy wax which helps give them a longer burn time and throws their scent further. Each of the tins cost £10.95 and they have a great range of scents available, including some fab Christmas ones. I was recently scent 4 of their scents to try out and I’m so impressed with them, they’ve even made me feel festive before December! Amaretto – Whilst it does smell a little like Amaretto liquer, to me, the Amaretto candle has an almond and vanilla scent. I think it smells like my Mams kitchen when she’s baking something delicious. I’ve been burning this one in my bedroom and once extinguished, the scent stays around for days. Holly Berry – Even my 4 year old thinks this is candle smells like Christmas! Instead of buying a real tree and it shedding it’s needles all through the house, all you need to do is pop the lid off this candle and it smells like you’ve got a real tree in your living room. Chestnuts – Chestnuts roasting on an open fire or walking past a stall selling them at a Christmas Fair is truky one of the best bits of Christmas. I love the Chestnuts candle, it’s a much stronger, musky scent, you could perhaps describe it as manly, but I love it. It makes me think of leather jackets and cosying up in cold weather. Spiced Apple – I love the Spiced Apple candle, it’s perfect for Christmas and I love the strong scent of spiced apple and Cinnamon. Each of the scents are strong when lit but not too over powering. Lighting them for just a short time will make your whole house smell amazing. My favourites are the Spiced Apple and Holly Berry, they’re the epitome of Christmas. As well as a range of gorgeous smelling candles, Valley Mill sell various other products perfect as a gift or to treat yourself, including handmade soap, soy melts and Welsh Slate gifts. 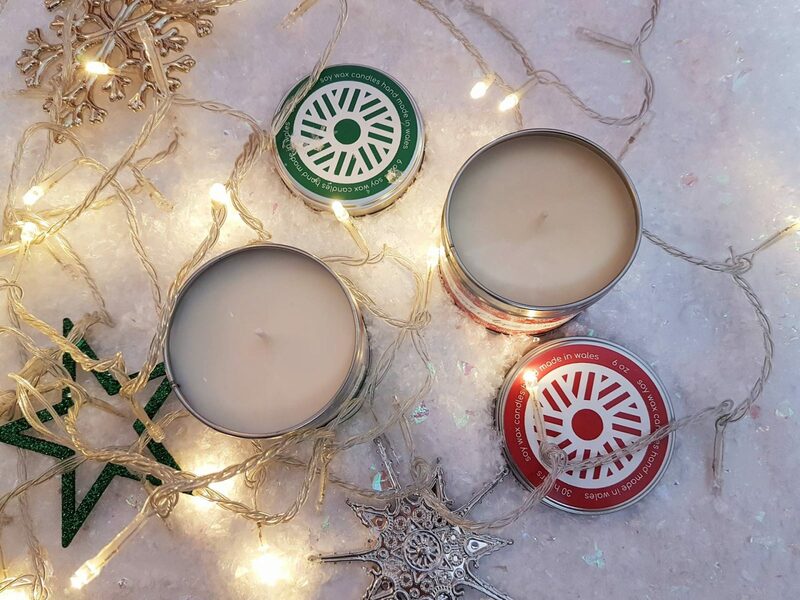 If you’d like to try out some of Valley Mills festive candles, complete the Gleam form below. Competition ends on 9th December 2018. Winner will recieve some festive candles from Valley Mill. I was sent the candles in return for an honest review.